A four-year-old girl whose face was blown off during a US drone strike in Afghanistan was kidnapped by American troops and hidden by an international organization, her family says. 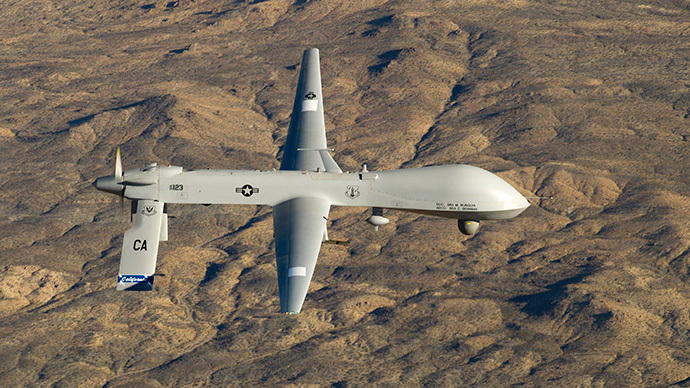 The child, named Aisha Rashid, was travelling with her parents, a sibling and several other relatives from Kabul to their home in the village of Gamber in Kunar province on a hot September day, when the drone exploded, Expressen.se reported. An uncle, Meya Jan, is at home on his farm in that village when he receives a phone call about the strike from the neighboring village. He and others rush to the strike. Suddenly they hear a voice. "Water, water..."
It is Aisha. She is missing a hand, her leg is bleeding, and there is nothing left of her eyes or nose. Older relatives rush her to the hospital in Asadabad, but doctors there can do nothing. She is transported by ambulance to a hospital in Jalalabad, where surgeons do what they can to patch her face, but her case is too difficult for them. Hospital staff contact the United Nations Assistance Mission in Afghanistan (UNAMA), who arranges for her to be sent by medical helicopter to Kabul four days later. 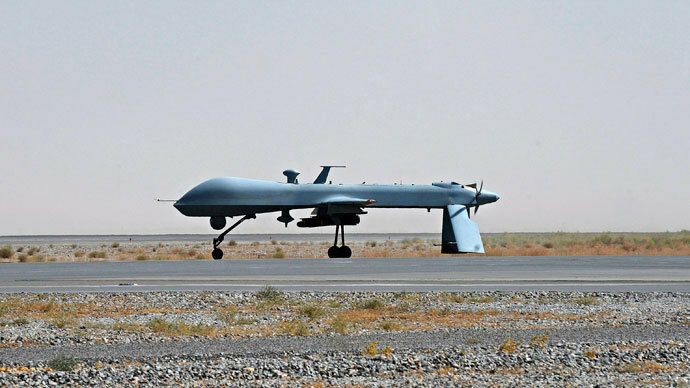 The incident occurred on September 7, 2013, when NATO drones destroyed a pickup truck with civilians inside after its driver agreed to give a lift to Taliban insurgents, provincial governor Shuja ul Mulk Jalala said at the time. A report listed that four women, four children, and four men had been killed in the strike. The remaining four fatalities were said to be Taliban militants. NATO command acknowledged that the strike took place, but stated that the operation killed only militants – not civilians. Once in the Kabul hospital, Aisha is visited by Afghan President Hamid Karzai. “She had lost the whole family, the entire family, 14 of them, in the bombing in Kunar. And that day . 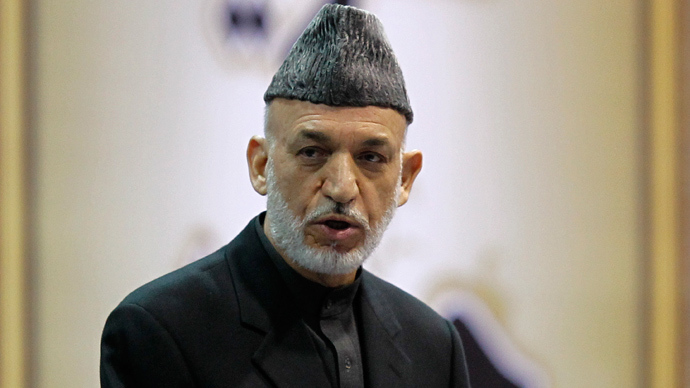 . . [note: there is a 39-second pause as Karzai struggles with his emotions] . . . that day, I wished she were dead, so she could be buried with her parents and brothers and sisters,” he said, recalling the visit in an interview with the Washington Post five months later. “She is walking now, she is in America. We arranged for her to be taken to America. 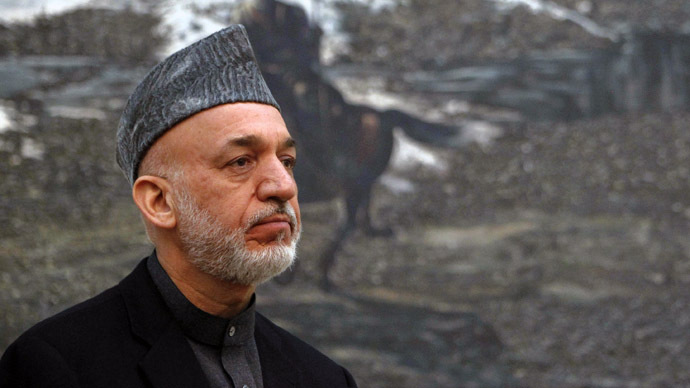 She’s there now,” Karzai said in the March phone interview. But Jan and Aisha’s other uncle, Hasrat Gul, did not give permission for the only surviving member of the Rashid family to be taken to the US, nor were they allowed to go with her. And they were not given any news of their niece. "We think she is in the US, that's what they told us, but we have no contact and we don't know if she is still in Bagram or if she's been flown out," Gul told Expressen’s Av Terese Cristiansson in early October. They said they believed the US military was trying to hide her because drone strikes are such a sensitive subject.The two uncles give the reporter power of attorney to find Aisha. The International Security Assistance Force (ISAF) took over the case days after Karzai visited Aisha. Cristiansson emails the ISAF, but they have turned Aisha’s case over to a relief organization named Solace, which helps Afghan children with war injuries to receive international treatment. Solace's strategy is to pay for foreign treatment and then place the children with foster families until they can be flown back to their own country. The reporter contacts them in November, and they initially seem willing to work with her on following the case for an article and documentary. But when Cristiansson says she wants to visit Aisha at Walter Reed National Military Medical Center outside Washington, DC (where Solace says the girl is located), the group becomes unresponsive. In the meantime, the family had been receiving no communications. "We were informed that she didn't have any family," says Patsy Wilson, one of the founders of Solace told Cristiansson. The press office at Walter Reed said the family should ask local representatives at the base in Kunar about Aisha's condition. The family, with no updates, believes the US military have taken Aisha. 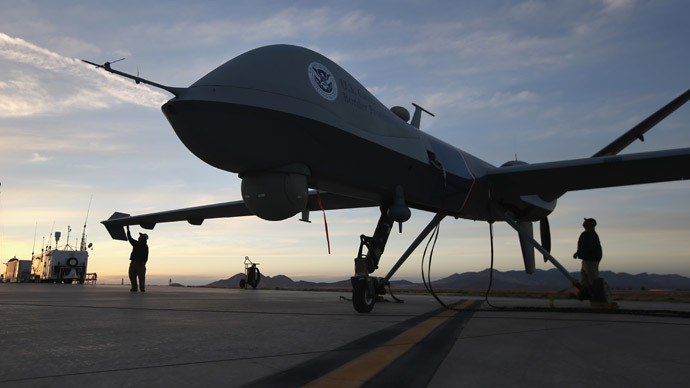 “They probably don't want her to become a poster girl for drone repercussions," they said. They even start doubting whether she is alive. Jan and Gul did not speak to their niece until March. Gul told Cristiansson they have been compensated $2,000 per victim who died in the drone strike. "They want to give us money, but we don't want America's money. We have said that the only apology we can accept is what it says in the Koran: 100 camels,” he said. They also want the person responsible for killing their family brought to justice, and for Aisha to return to them. They think she realizes she cannot live in a country that killed her mother, father and little brother. "She belongs at home with us," Jan said.